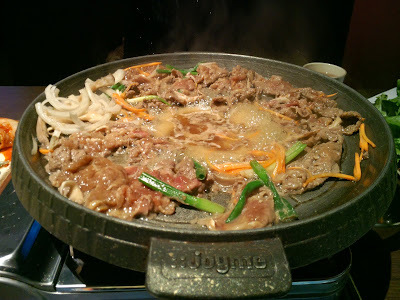 Found them on Google while searching for a decent Korean BBQ restaurant in Montreal, and the restaurant looked interesting, so we decided to make a dinner trip on a Tuesday night. The place wasn't packed that night, so the service is probably better than on their busy weekends. Koreans are known to go to that restaurant, so that's usually a good sign. 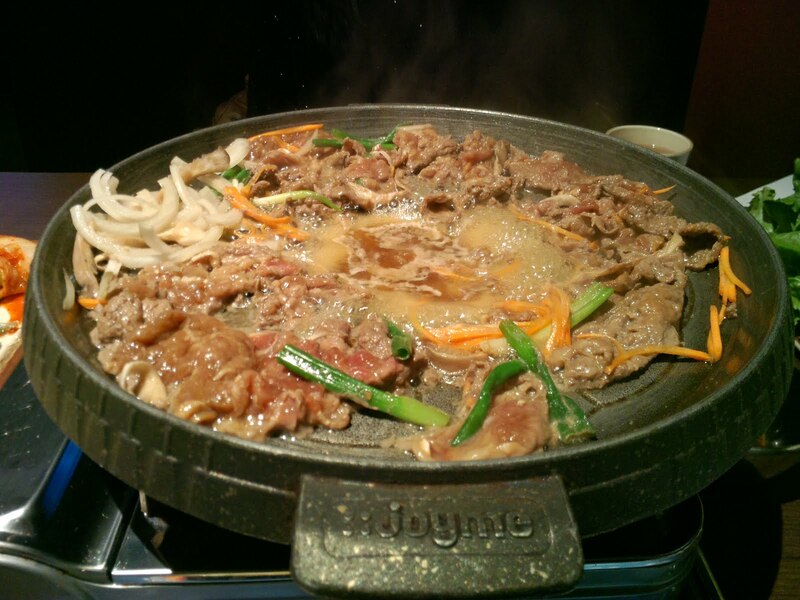 We ordered the kimchi stew, bulgogi BBQ and pork BBQ dishes. They set up the grilling station at our table and brought out the raw meat. The waitress was great, helping us get started by grilling the beef for us. Just an FYI, this is not an all-you-eat restaurant, so you are paying per dish. If you want more meat, then you have to buy more. 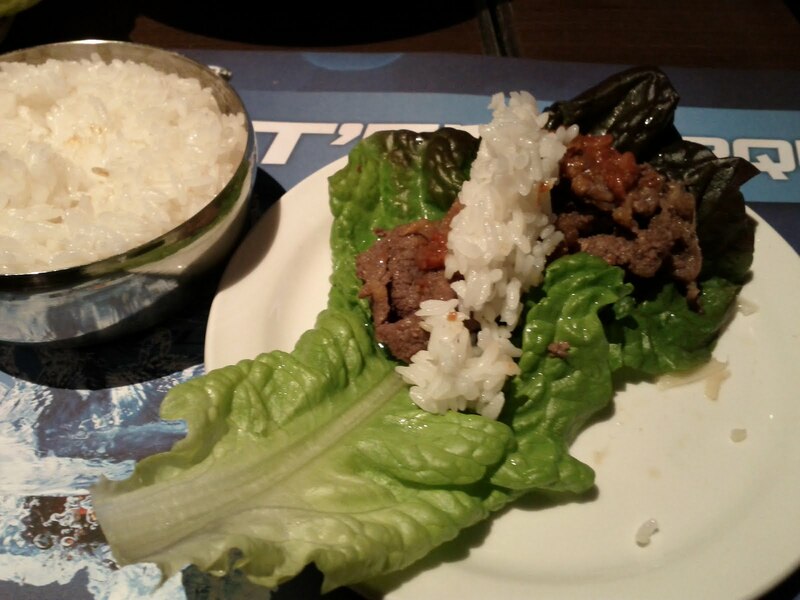 They provided us the rice, lettuce leaves and spicy sauce to go along with our grilled meats. 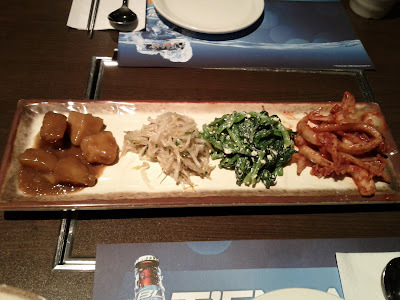 Of course, the usual Korean shared side dishes (called Banchan in Korean) were included. In case you did not know how you are supposed to eat it Korean BBQ, it's like this: you use the the lettuce leaves as a wrapping cover then add the sauce, meat, AND rice inside. 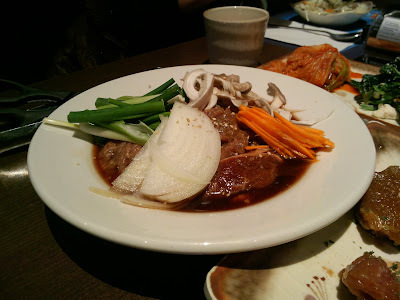 The end result is a mouthful of tasty vegetables, meat and starch in each bite. I have to say that it was really good. 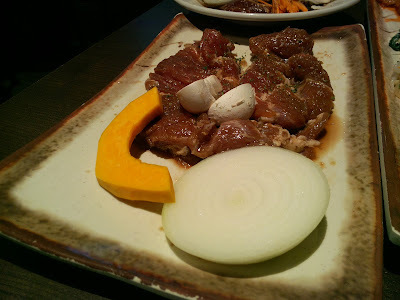 A tip: If ordering pork (which comes in larger steak-sized pieces of raw meat)...Wait for them to cut it up into smaller bite size pieces for you. The waitress told us s funny story of a customer trying to eat the pork before it was cut up...That would have been hilarious to see. 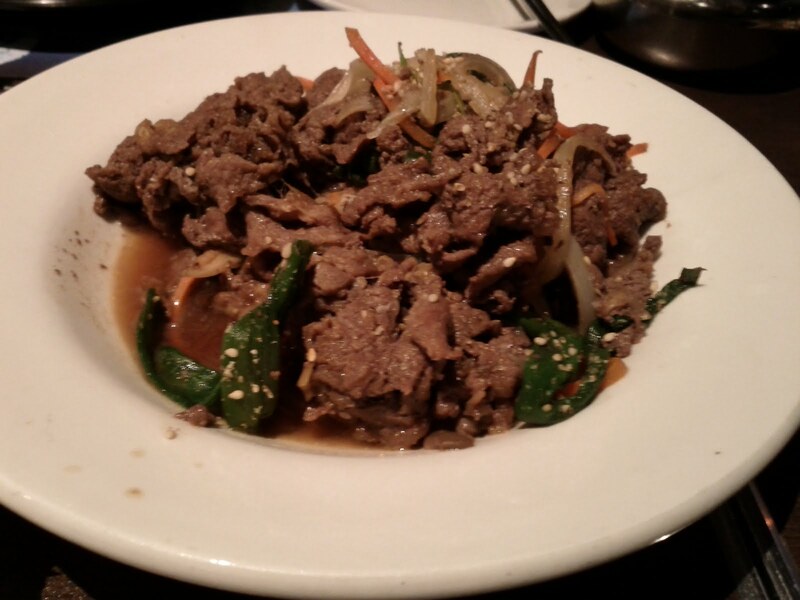 Added a couple of new photos after a second trip to the Korean restaurant. This is really nice. I love the food on the pictures. It looks yummy!! 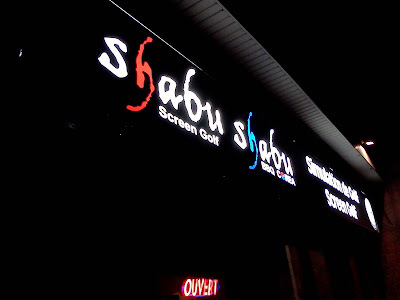 I love shabu shabu.. But are those korean food spicy? very good shabu shabu and the waitress helped us how to make it...it was tha first time eating Koreean. Good first time Korean restaurant choice Anonymous!